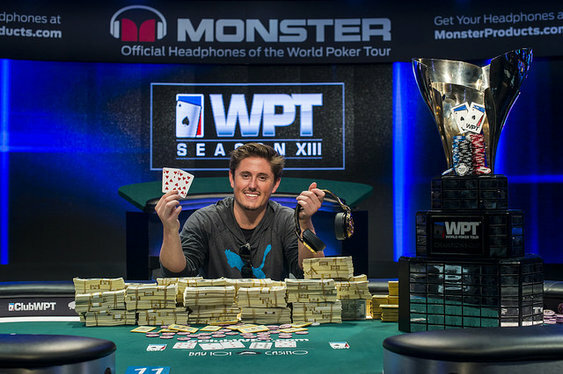 Another glittering World Poker Tour Main Event came to a close over the weekend after a star-studded final table. After welcoming 708 players to the Bay 101 Shooting Star Main Event, the final showdown saw the likes of Sorel Mizzi, Faraz Jaka, Isaac Baron and Taylor Paur fighting for the title. The railbirds' dream meant a flurry of action as the cards began to fly and within a few hands it was short stack Ravee Mathi who fell. After taking a chance early on, he eventually found himself all-in and in danger Ac 8s. With the board reading Js 6d 5c 6s 5h, Mathi saw an opportunity to bluff himself back into contention. Unfortunately, after Paur called with 8c 5d his run at a WPT title was cut short. That elimination gave Paur the momentum and with a few hands he was able to contribute to the demise of Jaka, Mizzi and Jake Bazeley. That string of bust outs left Paur with a 2:1 advantage over Baron and within nine hands he was able to dispatch his rival in impressive fashion. A flurry of betting on every street culminated in a 9s 7h 2h 3d 5h board and a final stab at the pot by Baron. After moving all-in the American pro was snap-called by Paur who turned over Th 9h for a winning flush. That hand gave Paur his first WPT title as well as a $1,214,200 bankroll boost.